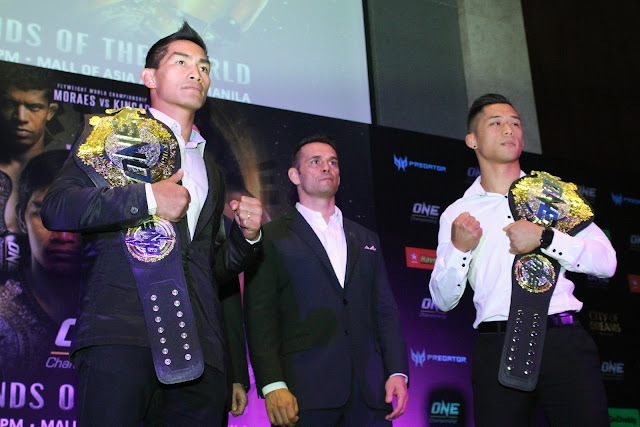 7 November 2017 – Manila, Philippines: The largest sports media property in Asian history, ONE Championship™ (ONE), recently held the ONE: LEGENDS OF THE WORLD Official Kick-Off Press Conference on 7 November at the Grand Ballroom of City of Dreams, Manila. 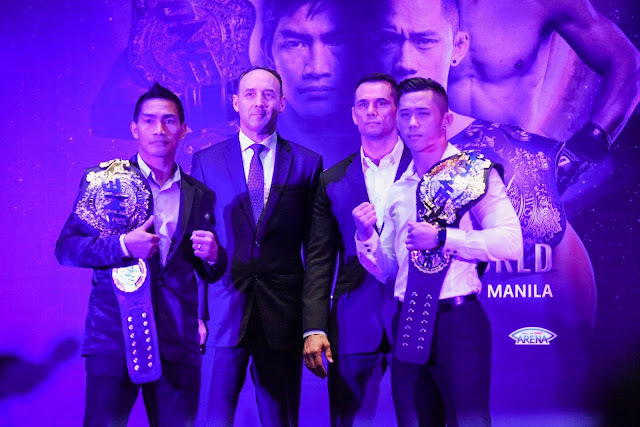 In attendance was Vice President of ONE Championship, Rich Franklin, as well as athletes Eduard Folayang, Martin Nguyen, Adriano Moraes, Danny Kingad, Kevin Belingon and Kevin Chung. 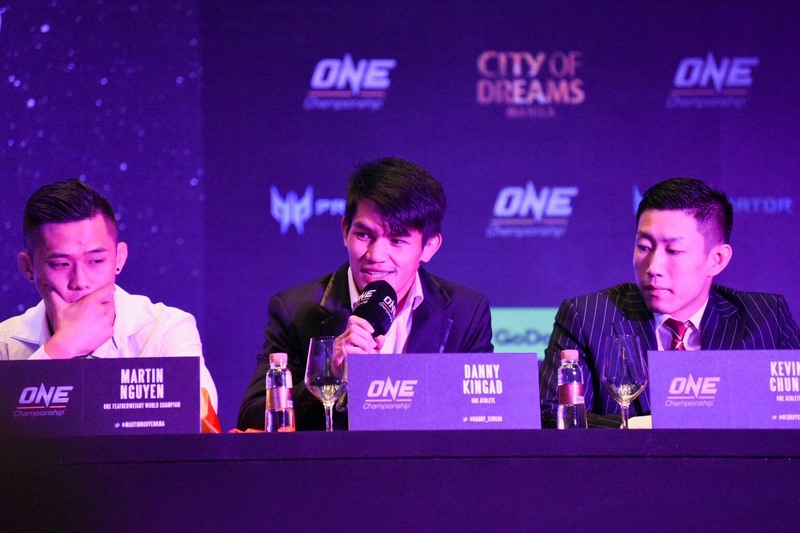 This press conference was held ahead of all the action which takes place 10 November, at the Mall of Asia Arena, which features reigning ONE Lightweight World Champion Eduard “Landslide” Folayang who will defend his title against ONE Featherweight World Champion Martin “The Situ-Asian” Nguyen in the evening’s main event. Eduard “Landslide” Folayang of the legendary Team Lakay in Baguio City is one of the Philippines’ most experienced martial artists. After nearly a decade of competing in various promotions, Folayang has amassed an impressive 18-5 professional record. 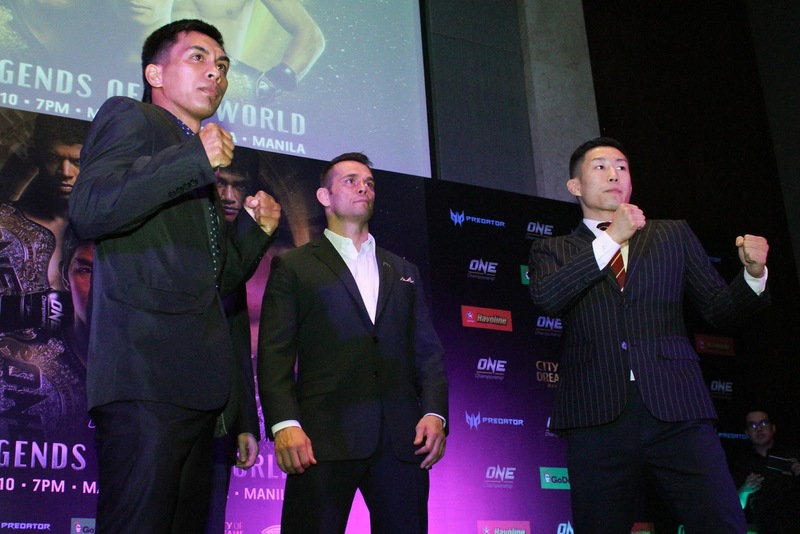 The 33-year-old veteran is currently riding a four-bout winning streak against high-profile opponents, including an emphatic technical knockout victory over Japanese legend Shinya Aoki to capture the ONE Lightweight World Championship in 2016. Showcasing a highly-improved wrestling and grappling arsenal, Folayang thoroughly defeated top challenger Ev Ting in his first title defense last April. Now set to return to the ONE Championship cage in Manila, Folayang will face ONE Featherweight World Champion Martin Nguyen in a cross-divisional showdown. 28-year-old Martin “The Situ-Asian” Nguyen of Sydney, Australia, is a highly-skilled finisher and one of the most talented featherweights in martial arts. In his most recent bout, Nguyen stepped into the ONE Championship cage last August, scoring the biggest victory of his career when he stopped former undefeated featherweight champion Marat “Cobra” Gafurov in Kuala Lumpur to capture the ONE Featherweight World Championship. Sporting a 9-1 professional record, Nguyen’s all-around skill set allows him to compete at the highest level of competition. 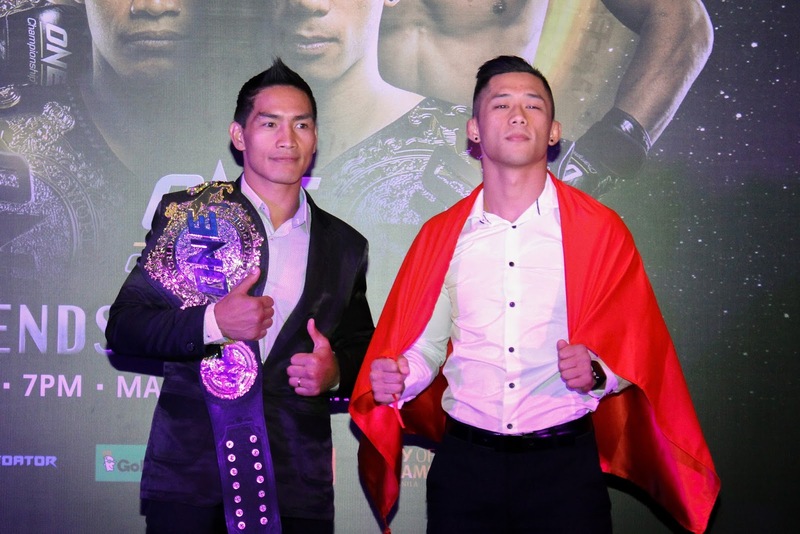 In a much-anticipated battle between division champions, Nguyen is set to face the Philippines’ Eduard Folayang in Manila for the Filipino’s coveted ONE Lightweight World Championship.